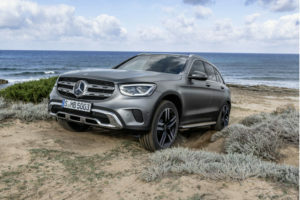 Mercedes’ pickup is spotted once again, but in contrast to the earlier shots, this time we saw the actual bodywork of the production-ready model. Yes, the testing model carries the camouflage, but we can clearly see the amazing exterior styling of the upcoming 2018 Mercedes-Benz GLT. Still, it’s far more important the fact that the German manufacturer plans to bring the vehicle to the North American drivers. Yes, yes, it will be available in the United State, and yes we are sure about it. In any case, the prototype you see here is riding on almost the same platform as the Nissan Navara. 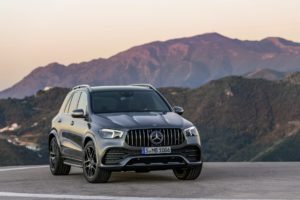 We say “almost” because there will be certain upgrades (still don’t know exact what’s changed), which will make the 2018 Mercedes-Benz GLT comparable to wide range of engine options. In addition, the styling is notably different from Navara’s, and this is quite evident due the wider track and flared wheel arches. The front end is more similar to the earlier concept model, and features really attractive grille and headlights, as well as the amazing bumper with a huge air intake and rounded fog lamps. In contrast to earlier report when we didn’t know what the carmaker plans to add under the hood, this time we are sure about it. According to our insider, the 2018 GLT pickup will definitely offer a base 2.0-liter four cylinder engine with 184 horsepower. The manufacturer will also add an oil-burner 2.0-liter turbo-diesel option with 195 horsepower at 3800 rpm and 295 lb-ft of torque between 1600 and 2400 rpm. There is a big possibility of seeing a 3.0-liter six-cylinder engine, but we are not sure about the output. The units will be matted to the standard six-speed manual and optional 7G-Tronic seven-speed automatic transmission. 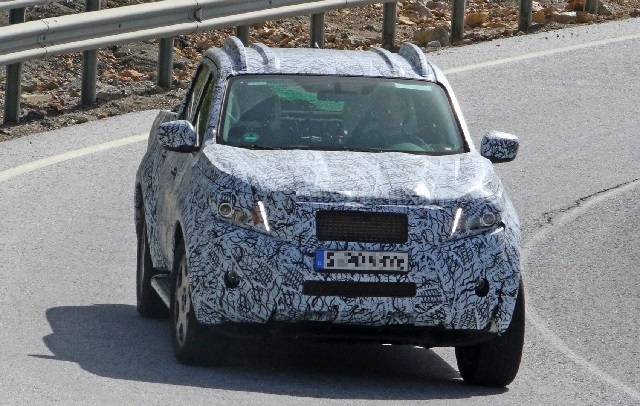 This prototype is spotted in Spain, so this one won’t come at the US soil. On the other hand, the US-specs 2018 Mercedes-Benz GLT will be produced together with Nissan’s sibling in Mexico.